This object was found by me, a long time Berowra resident, during road work in the early 70’s. It was at the bottom of the eastern embankment at Berowra railway station. I remember when I was a young boy electricity was first connected to the railway station. It was approximately 1936. Quite high wooden poles carried the wires. 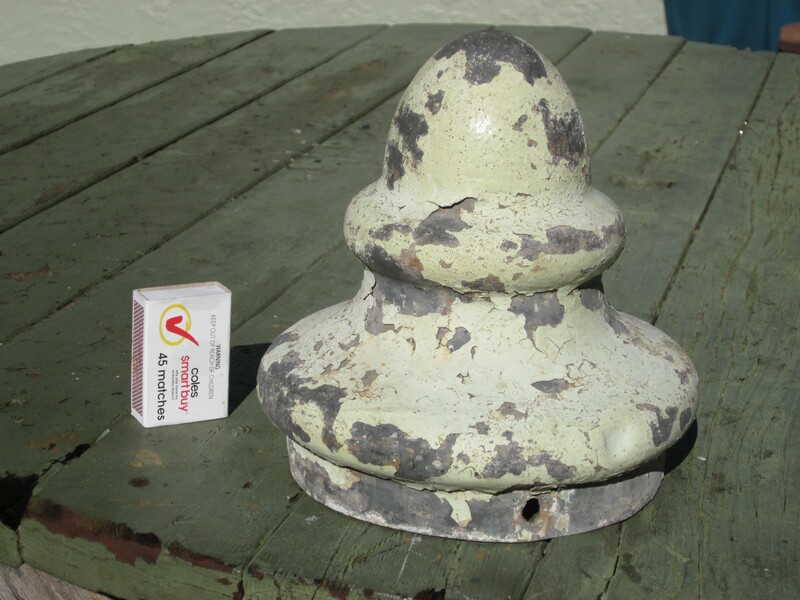 On top of each pole was fitted a decorative weather cap made of zinc to keep water from rotting the pole. Quite some time later these wooden poles were taken down and replaced by steel ones. I can only assume that at this time the caps were just thrown over the edge and down the embankment where this one was found by me.